AUTHENTIC PANDORA 14ct Gold & Diamond 'HANDBAG' Charm 750340D ,USED BUT IN GOOD CONDITION. (All my pandora are 100% genuine, discontinued collections. 1) pandora velvet pouch - free. 4) pandora gift bag - £1.50 ( Could be send flat, depending of total order size ). Genuine PANDORA 14k Yellow Gold Matrix Diamonds Charm 750313D,with real diamonds. 1x Pandora 790419D Charm. A beautiful Pandora Life's Path Silver, Gold & Diamond charm. The charm is made from 925 Sterling Silver and features 14k Gold accents holding real Diamond stones. - 1x FREE PANDORA Gift Pouch. 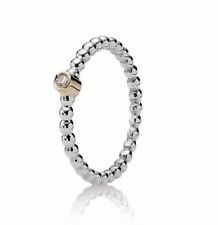 NEW Genuine Pandora Charm with 14CT Gold 0.03CT Diamond 790209D ALE 925 RRP£195! Code: 790209D. Genuine Pandora Product. ALL OUR PANDORA JEWELLERY IS AUTHENTIC. Silver 925. Hi and welcome to our listing for Genuine Pandora Flower Burst Clip Charm, 790533 This lovely charm would make a great gift or a treat to your self. It is fully Pandora Hallmarked. This item is preowned and may show some signs of use but is otherwise in good working order. Please remember that you can save postage by collecting from our Andover store. Please note non payers will be reported to ebay irrespective of reason why. We know 99% of ebay shoppers are great but some do mess us around so we have to mention this. Please buy with confidence and GOOD LUCK!!! It is fully Pandora Hallmarked. 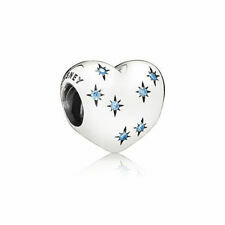 This lovely charm would make a great gift or a treat to your self. 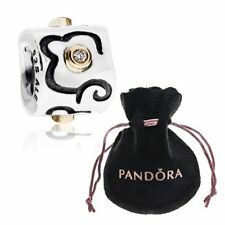 NEW Genuine Pandora Charm with 14CT Gold 0.03CT Diamond 790255D ALE 925 RRP£195! Code: 790255D. Genuine Pandora Product. ALL OUR PANDORA JEWELLERY IS AUTHENTIC. Silver 925. Heart swirls PANDORA ring size 54. Condition is New with tags. Dispatched with Royal Mail 2nd Class. Product number: 790352D. Genuine Pandora UK product s tamped with Pandora 925 ALE Hallmark. GENUINE PANDORA. Your chosen piece will be supplied in the Pandora soft tie-top pouch. For a very full charm bracelet you may need to go to the full 5cm's, but for just a few charms (4 or 5) then an extra 2 to 3 cm's will be sufficient. Product number: 790569DB. Genuine Pandora UK product s tamped with Pandora 925 ALE Hallmark. GENUINE PANDORA. Your chosen piece will be supplied in the Pandora soft tie-top pouch. Silver & 14ct Gold Black Diamond Barrel Charm. This charm is in very good (8.5/10) condition. It is made of solid14K gold and features a beautiful hanging flower with a genuine diamond in the middle. All diamonds undergo specialised diamond testing by our local jeweller to ensure their legitimacy. This charm is pre-owned but is still in very good (8/10) condition. It features a gorgeous hanging cross with 5 genuine sparkling white diamonds. The charm is made of solid 14k yellow gold with a small heart in the middle of the cross. 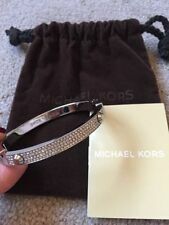 This charm is pre-owned but is still in very good (8.5/10) condition and has hardly been used. It is made of solid 14k yellow gold and features a hanging flower design with a genuine white diamond in the centre of the flower. This charm is pre-owned but is still in very good (8/10) condition. It is made of solid 14k yellow gold and features a beautiful puffy heart design with a two genuine diamonds. All diamonds undergo specialised diamond testing by our local jeweller to ensure their legitimacy. This ring is pre-owned but is still in very good (8.5/10) condition with only very minimal signs of wear. It features a beautiful entangled rope design with three genuine sparkling white diamonds, each surrounded by 14k gold. This charm is pre-owned but is still in very good (7/10) condition. It features a silver swirl design, with three genuine diamonds surrounded by 14k yellow gold. All diamonds undergo specialised diamond testing by our local jeweller to ensure their legitimacy. Pandora code: [790568D]. Woven Together - Diamond Twigs. Up for sale is an authentic, 100% genuine Pandora charm. The charm has never been worn, but since I'm in no way affiliated with Pandora, I have been advised to call it second hand. Request in the notes If you want a Pandora Popup Box/Tissue instead. Pandora code: 790411D. Up for sale is an authentic, 100% genuine Pandora charm. Diamond Bubbles. The charm has never been worn and is in perfect condition. Material: Sterling Silver, 14ct. Gold and 4 Diamonds. This beautiful charm is in good (7.5/10) condition. It featuresa silver charm with 3 genuine diamonds surrounded by gold. This spacer has 0.03ct of h/vs total diamond weight. All diamonds undergo specialised diamond testing by our local jeweller to ensure their legitimacy. This ring is pre-owned but is still in very good (8.5/10) condition with only very minimal signs of wear. It features a beautiful bone shaped band with 3 genuine cognac coloured diamonds, set in 14k yellow gold. 100% AUTHENTIC PANDORA CLUB 2018 MORE LOVE 0.01CT DIAMOND STERLING SILVER S925 ALE CLUB CHARM B800776 WITH PANDORA CLUB HEART GIFT BOX. PANDORA CLUB HEART CHARM GIFT BOX. Charm Type Bead. Type Charm(s). Hallmark "10K MHJ" is clearly visible inside the band. - We are 100% Australian owned and operated. We are located in Kensington, Sydney. All diamonds undergo specialised diamond testing by our local jeweller to ensure their legitimacy. Genuine Pandora Matrix, Abstract Gold Charm. This is a genuine Pandora Gift Box Charm. The perfect addition your Pandora bracelet. Hallmarked '585 ALE' proving the authenticity of the charm. This charm is now discontinued and highly sought after! 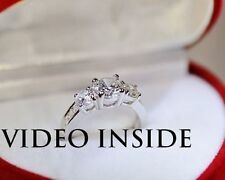 Authentic Genuine Pandora Silver w 14k Gold Diamond Morning Star Ring 190213D. This ring is pre-owned but is still in good (7.5/10) condition with only minimal signs of wear. It features a silver band with 14k gold surrounding a sparkling genuine diamond. Pandora code: [811007WH]. Up for sale is an authentic, 100% genuine Pandora Watch. Imagine Grand with Diamond studded Bezel and white Italian Leather Strap with red stitching. A large, sports style watch with date function. Brand New Retired Authentic Pandora Sterling Silver and 14ct / 14k Yellow Gold Accent Flower Dangle / Pendant / Charm with h/vs 0.01ct Diamond Product ID: 390170D 100% Genuine with Pandora hallmarks: '925 ALE' Comes with pictured Pandora Black velvet pouch. Brand New Retired Authentic Pandora Sterling Silver with 14ct / 14k Gold Accent 'Dancing' with Cognac coloured Diamond Charm / Bead Product ID: 790569DN 100% Genuine with Pandora hallmarks: '925 ALE' Comes with pictured Pop-up box and tissue paper, the Pandora hinged box is for display purposes only. Pandora 14ct Yellow Gold Clip With Diamonds. Hallmarks visible. Pandora code: [750356D]. 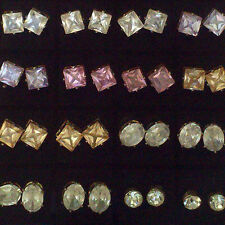 Material: 14ct. Gold and 4 Diamonds. Up for sale is an authentic, 100% genuine Pandora charm. The charm has never been worn, so it as new, but since I am in no way affiliated with Pandora, I have been advised to call them second hand. Retired Pandora bead, sterling silver with floral pattern including diamond centres set in 14k yellow gold, and large faceted onyx stones in a dew drop shape. Onyx & Diamond Charm. when handing it over to be looked at ?. Pandora code: [750418D]. "Babbling Brook" Abstract Scroll Design Clip. Up for sale is an authentic, 100% genuine Pandora 14ct. Gold charm. The charm has never been worn, so it is as new, but since I am in no way affiliated with Pandora, I have been advised to call it second hand. It features a beautiful genuine white diamond in the centre, surrounded by 14k gold. All diamonds undergo specialised diamond testing by our local jeweller to ensure their legitimacy. We do NOT deal any counterfeit products and we do not have any overseas suppliers. Code - 750408D. Pandora 14K Gold Dream Bead with a 0.01 Carat white Diamond. Send with pandora gift bag and box in the photo. Local pick up is available for cash only. Pandora 14K Gold Earrings With Diamonds, 250316D, Rare To Find! Product ID: 250316D. Will make a great gift or spoil yourself. 100% Genuine with '585 ALE' markings. Local pick up is available for cash only. Authentic Genuine Pandora Solid 14k Gold Diamond Heart Rhodolite Ring 150146D. This ring is pre-owned but is still in very good (8.5/10) condition. The signs of wear are very very minimal. It is made of solid 14K gold and features a beautiful heart design with genuine diamonds, and a rhodolite stone on the halo. Pandora Embrace Watch Face, 812042BK, Very Rare To Find! Product ID: 812042BK. Pandora Gold Plated Embrace Watch Face, 5m water resistance, black crown diamond, sapphire glass and Swiss made. Not including the bracelet. Will make a great gift or spoil yourself. This charm is pre-owned but is still in very good (7.5/10) condition. It features a silver flower design with two genuine diamonds surrounded by 14k gold, and another two 14k gold droplets. All diamonds undergo specialised diamond testing by our local jeweller to ensure their legitimacy. Authentic Sterling Silver Gold Two Tone Diamond Pandora Charm - Romantic Union. 0.004ct TW h/vs diamond. Very good used condition. Up for sale is an authentic, 100% genuine Pandora sterling silver Necklace. Pandora code: [590320D-45]. Silver Pendant with Peridot in 14ct. Gold Flower and Diamond. Material: Sterling Silver, 14ct. This charm is in very good (8/10) condition. It is made of solid14K gold and features a beautiful hanging flower design with a genuine diamond in the middle. All diamonds undergo specialised diamond testing by our local jeweller to ensure their legitimacy.